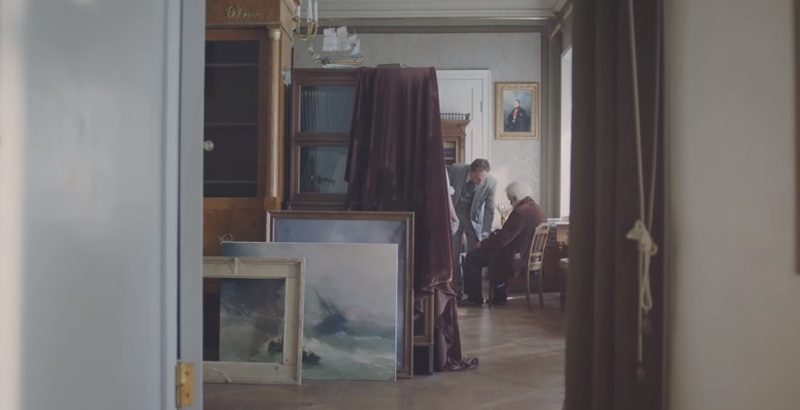 BBDO Russia Group reveals new side of Aivazovsky’s art in a first ever video spot for State Tretyakov Gallery that features last minutes of the painter’s life. BBDO Russia Group created an advertising campaign for State Tretyakov Gallery’s Ivan Aivazovsky exhibition, the major retrospective celebrating the 200th birth anniversary of Russia’s world-famous XIX century marine artist. The video tells a story of the last minutes of Aivazovsky’s life. One of the leading art museums in Russia and worldwide, the State Tretyakov Gallery, for the first time in its history embraced video content posted in Internet to attract visitors. The Gallery partnered with BBDO Russia Group and the Moscow Film School for the project. One of the prominent Russian artists, Ivan Aivazovsky is popular outside Russia. During his almost 60-year career, Ivan Aivazovsky created over 6,000 paintings, depicting sea in all its glory. A scale like this is a true bid for an “ocean of being” concept for a modern viewer. However, people tend to find his works dull and repetitive. BBDO Russia Group decided to show Aivazovsky’s art from a new viewpoint. The video draws the viewer into affection of the open sea. The camera literally soars through bright and dense air, showing the turmoil in the painter’s home in the last minutes of his life. The verse “My Sea Wave” by Fyodor Tyutchev is used as a voiceover. Asya Vuchetich, BBDO Moscow Creative Group Head, says: “Working on the creative concept, we had to face the fact that people in general felt no real emotional connection to Aivazovsky’s work, though he had painted over 6,000 pictures in his long and quite happy life. Most viewers either appreciate his art or just don’t relate to it at all, perceiving his paintings just as ‘some sea pictures’. To overcome this emotional gap, we decided to shift the emphasis from the global ocean to the painter himself. And so the film recounts one of the most amazing moments in his life, when he was working on the “Explosion of the Turkish Ship” painting just several hours before he passed away – almost to the very end”. Igor Isakov, a young student at the Moscow Film School was chosen as director for the video. The Stanislavsky memorial house and the MkhAT Moscow Art Theatre was used as shooting location. Music of Georgy Chimoroda, a young musician, runs at the background. State Tretyakov Gallery’s top management preferred Georgy’s piece to classical composition by Schubert, which was offered as an alternative. The video culminates with recital of a verse by Fyodor Tyutchev, famous Russian poet.